Are you looking for the best way to potty train your son/daughter? Then you’ll love what Mommy’s Helper Contoured Cushie Step Up, 1 Count has to offer. With a thickly cushioned contoured seat that comes with a built-in deflector, sturdy floor pads, and specially molded non-slip handles, this amazing potty training tool gives your child the comfort and confidence she/he needs to start potty training on the big kid toilet. Cushie Step Up toilet trainer features a thickly padded seat which feels comfortable and stable. The extra wide non-slip floor pads are also designed for safety measures. You can use it on any floor (Even on carpet) without facing any challenges. 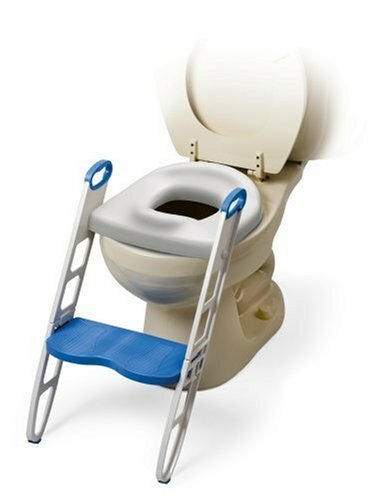 The padded Cushie Step Up toilet trainer comes with extra soft, non-slip handles. With time, your child will never have to ask for your help since the handles are located at a natural place for him/her to hold onto while stepping up to the toilet. This makes the training process to be much less intimidating to the little one. Even if you are a first-time single mom with no one in the house to help you out, you will manage to assemble Cushie Step Up toilet trainer by yourself, and then potty train your child with ease. No tools required for assembly and all parts just snap together. 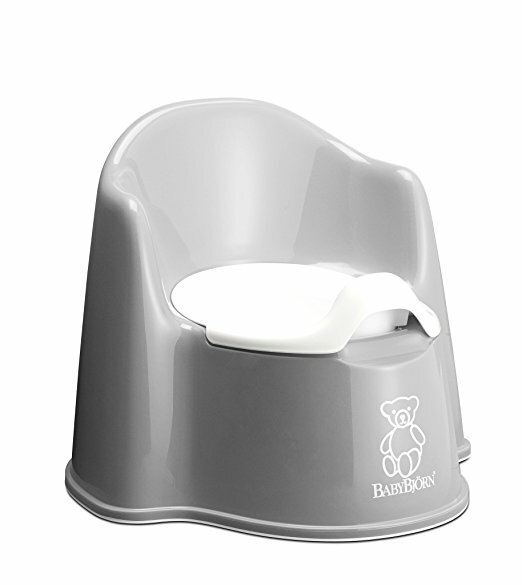 Mommy’s Helper Contoured Cushie Step Up, fits all the standard as well as most elongated toilet seats. You will be able to fold the Contoured Cushie Step Up with ease, for compact storage between uses, thanks to the excellent design. When it isn’t in use, you’ll just lift both handles, and then the seat will transform into a slim piece for easy storage. • The extra soft non-slip handles offer extra comfort. • Despite the fact that the assembly process is simple, there are videos on the web with step-by-step guides on how to assemble Cushie Step Up toilet trainer. • The step tool portion is variable and swivels, enabling you to adjust the step according to the height of the toilet. • You just need a damp cloth and mild soap to clean Mommy’s Helper Contoured Cushie Step Up, 1 Count. • It doesn’t fit on taller toilets. Customer reviews available on the web shows that a high percentage of customers are happy with the performance of Mommy’s Helper Contoured Cushie Step Up, 1 Count. Generally, customers have praised its outstanding features. A customer has shared that this toilet trainer is a fantastic tool. She bought it when her son was 2, and the little boy used it all the way to age 4 since he loved it. She says that her son is now 8 and her 2-year-old daughter is using it. The customer then concludes by recommending the product to all prospective customers. Mommy’s Helper Contoured Cushie Step Up, 1 Count is all you need to help your son or daughter feel independent through the potty training process. The padded Cushie toilet trainer is offered at an affordable price. Next ArticleWhy You Should Not Use 3 Days Potty Training Method For Your Kids.